Add first 10 ingredients (chicken through salt) to a slow cooker and stir to combine. Cook covered on low heat for 8 hours. Once cooked, remove the chicken with a slotted spoon and discard the bones. The chicken should just fall apart, but if there are large pieces, use a fork to shred. Then return chicken to the soup. Meanwhile, in a separate bowl, stir together the matzo ball mix, vegetable oil and eggs until combined. Refrigerate for 15 minutes to chill. Then remove and shape the mix into 1-inch balls. Carefully place the balls back in the soup, and cover and cook for an additional 20 minutes. Season the soup one final time with additional salt and pepper if needed. Then serve! Ah, the joy of the slow cooker. For those nights when you’re in a hurry, or any time that you might be looking to use up some leftover matzo balls, this soup is a great solution. 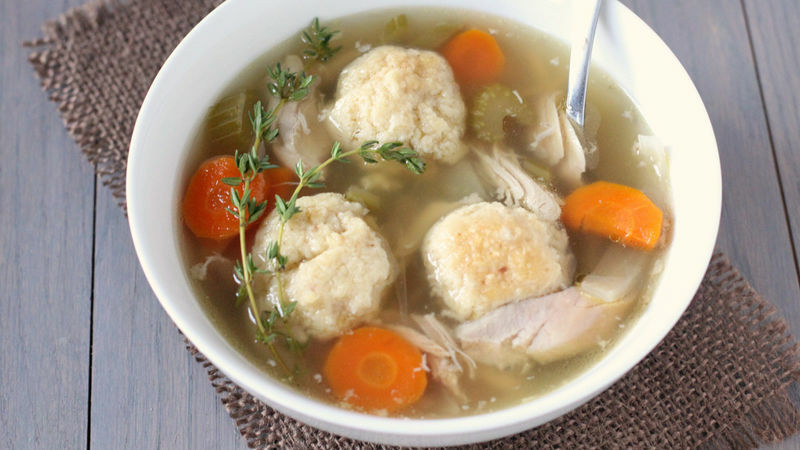 It’s all the goodness of a homestyle chicken soup, using matzo instead of noodles. Super easy, super hearty, super comforting. And the best part is that your slow cooker will do all of the work (oh, and it will make your home smell oh-so-delicious). Just throw everything in – carrots, celery, onion, garlic, a bay leaf, a few sprigs of fresh thyme, salt, pepper and some bone-in chicken (I used chicken legs). 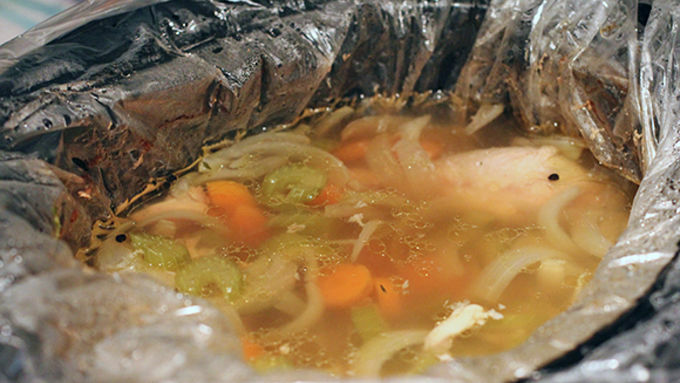 Let it all cook on low for about 8 hours, and then remove the chicken with a slotted spoon. It should just fall apart, but use a fork to shred it slightly if there are large pieces. Pull out the bones, and then return the shredded chicken to the soup. Once your broth is ready, go ahead and form the matzo balls. 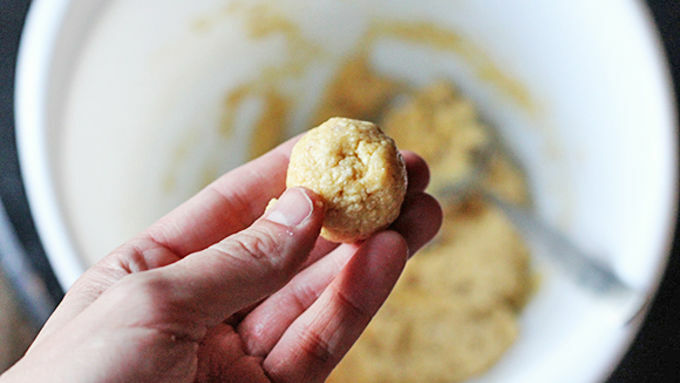 Stir together your matzo mix, vegetable oil and eggs, and then refrigerate for at least 10-15 minutes. Once chilled, remove it and form the dough into about 1-inch balls. Lay them carefully in the soup, and cover and cook for an additional 20 minutes until the matzo is done. Season with additional salt and pepper if needed. Carefully ladle out the soup so you don’t break the matzo balls, and serve! SO comforting and delicious!